Black Time Travel | Vince Allegedly Has A Love Child With A White Woman But What Does Tamar Think? Guess Who Suspended Allen Iverson From the B3 Basketball Team? Vince Allegedly Has A Love Child With A White Woman But What Does Tamar Think? Travel BLACK in time with us by subscribing. 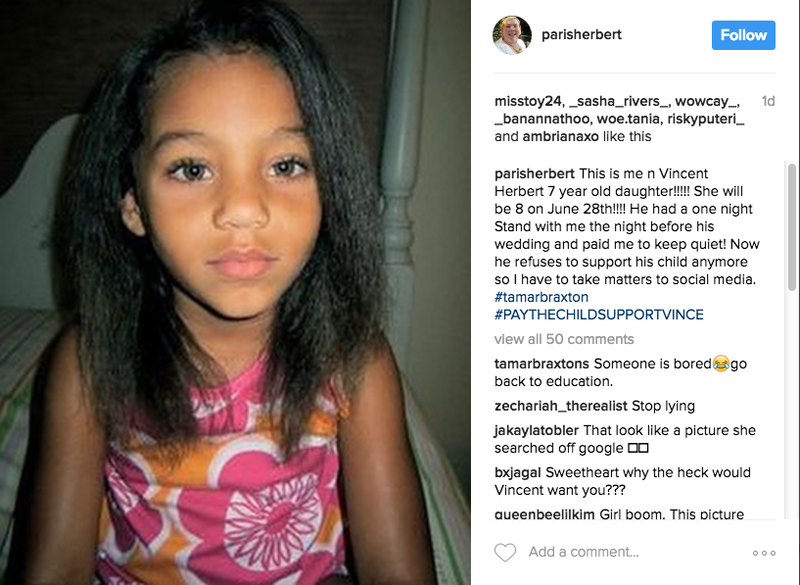 Singer Tamar Braxton, as well as her husband Vincent Herbert, are now at the center of more controversy than before, after news has recently surfaced that Herbert allegedly had a love child with a white woman. Braxton opted out of staying quiet on this matter, which is no surprise considering her outspoken personality, and she has taken it upon herself to air her thoughts via Instagram in a post that has since been deleted. There were once rumors that Herbert and Braxton were domestically violent toward one another, after police had been called several times, however, we are sure that this is one of those situations that just may take the cake. Comment your thoughts below and tell us what you’re thinking. Are you even surprised that this is news?